For many North Americans, Portugal is a somewhat undiscovered territory. Located west of Spain, it’s famous for Port wine. But there’s much to learn about this jewel of a country, especially its stunning geography. In broad strokes, the Douro River separates the northern region from the central. The Tejo (you may hear it referred to as the Tagus, its former Roman name) River outlines the center of the country from the Alentejo region (literally translated as “below Tejo”). Farthest south is the area known as the Algarve. Increasing numbers of Canadian and U.S. expats are discovering the charms of Serra da Estrela, where you can ski on real or manmade snow, and of the rolling hills, cork trees, and golden, red-and-purple-flowered plains of Alentejo. Perhaps the best place to start your love affair with Portugal is with its capital. Located two-thirds of the way down the country from north to south, Lisbon sits on seven hills which offer spectacular views of the city, the Tejo, and the Atlantic. Just outside Lisbon, a string of exquisite beaches from Praia de Caxias to Cascais adds an element of holiday recreation to this cosmopolitan center. 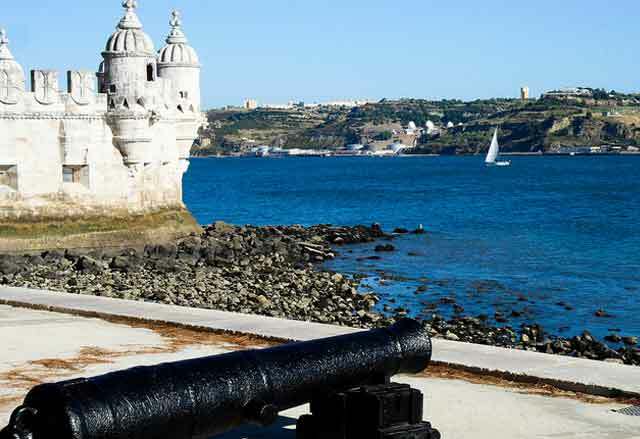 Lisbon is the oldest city in Western Europe, predating London, Paris, and Rome by centuries. Invaded and ruled by Germanic tribes in the fifth century, the Moors in the eighth, recaptured in 1147 by the Crusaders, and virtually destroyed by the Great Lisbon Earthquake of 1755, the city is a survivor. 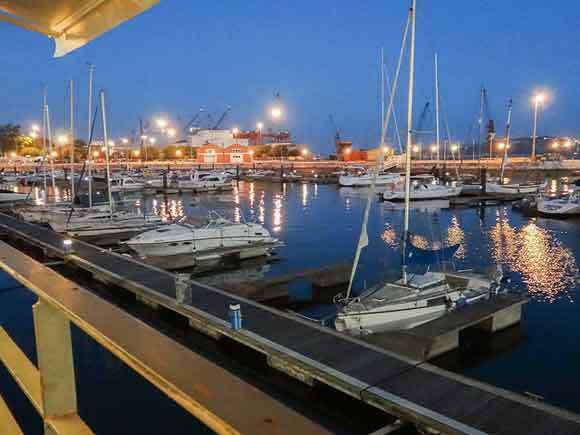 Its location on the Atlantic makes Lisbon an important seaport, and the country’s largest. Add nearby industrial, technological, financial, and mass media sectors, and you’ll understand why Lisbon is the wealthiest region in Portugal. In addition to the beauty of its geographical location, Lisbon is a magnet for visitors seeking museums of all sorts—from fine art to pharmacopeia, you’ll find one to suit you. And if you’re looking for a good meal, Lisbon has a seemingly limitless number of cafés, bars, and restaurants, including seven that boast Michelin stars. Here’s something to keep in mind if you’re interested in escaping rough winter weather: With its Mediterranean climate, Lisbon enjoys the warmest winters of any large city in Europe. Average temperatures range from 59 F during the day to 46 F at night from December to February. The summer season usually lasts about six months, from May to October. You don’t need to own a car here. The city offers great transportation, including buses, trams, funiculars, trains, a metro, and even boats. If you wanted to explore the countryside, you can rent a car and eliminate daily driving in Lisbon’s famously intimidating traffic. Want a break from city life? Head northwest toward the palace town of Mafra and visit the 1,187 hectares of land in the Tapada Nacional de Mafra, former hunting grounds of the kings of Portugal. Or take your pick of sun-drenched beaches like Carcavelos or Ericeira. Visit Cascais, once known as “The Portuguese Riviera,” now an expat haven. And what makes visiting these places even better is that the journey is just as enjoyable as the destination, as national roads and autostradas are well-maintained and congestion-free. You will always feel like you’re on vacation in Lisbon, where every day you can find a new cultural site, beach, boutique, or eatery. Baixa, Rossio, and Restauradores: Streets are packed with locals and tourists alike visiting shops, monuments, and restaurants. 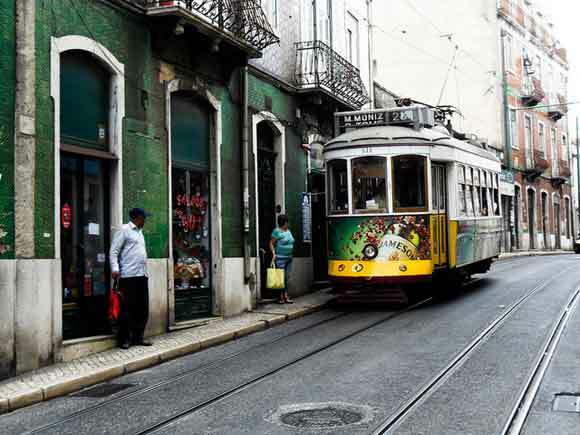 Bairro Alto, Bica, and Cais do Sodré: Lisbon’s night life center. Castelo, Alfama, and Mouraria: The historic heart of town, imbued with a sense of the past, and home to great fado. Wherever you settle, however, certain things will be the same. At your local café, enjoy morning coffee (bica) with torrada (slices of thick white bread toasted to perfection) or pastel de nata (the creamy custard tart that is the national pastry). 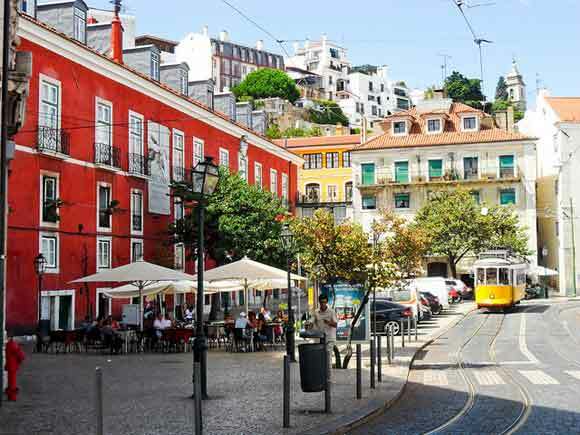 Then stroll in one of the city’s parks, or along broad, tree-lined, Avenida da Liberdade and window shop, or walk down to the harbor and boat-watch. In the afternoon, stop by Lisbon’s branch of the Spanish department store, El Corte Inglés. Grab a snack, buy groceries, see a movie in the Cineplex, and, if you have them, get your car washed and dog groomed. You can also leave the city for a while. Take the train to Cascais (about one hour) at the Cais do Sodré station. Lunch bayside on the patio at the Hotel Baía and ride the carousel in the center of town. Then head back to the city and catch a performance—in English—by The Lisbon Players at their historic theater, Estrela Hall. Daily living costs are higher here than in smaller cities. But even so, expenses are less than in other European capital cities like Paris, London, and Madrid. When we think of moving overseas, various thoughts come to mind: What does the place have to offer? How much will it cost me? And the all-important, what should I pack? But one critical factor is what kind of climate you can expect when you get there. Here’s the great news about Lisbon, Portugal: Not only is there plenty to do and see in the way of beaches, museums, and historical sites, but it’s incredibly affordable. And the climate is marvelous year-round. Sitting at a sidewalk café enjoying coffee and a pastel de nata—the creamy custard tart that is the national pastry—you won’t find a huge variance in your surroundings throughout the year. For example, the coldest months are January and February, with temperatures ranging from 47 F to 59 F. There’s a steady progression of increased temperature into springtime, with temperatures reaching high 60s F and low 70s F until summer, when June, July, August, and September see the mercury hover around 80 F. Then a mild decline begins, with mid-70s F in October and mid-60s F in November, heading into winter again. As far as rain is concerned, you don’t need to have your umbrella handy. Lisbon receives most of its rain from November through April, but more than half of the days during that period are sunny. Rainfall readings are at their highest in November and December, at about five inches, but then steadily drop each month—four inches in January, just over three in February, and so on until the summer months, which might only see a small fraction of an inch. Lisbon has some lovely beaches stretching off to the west, including the rugged surfing beach of Guincho. But you’ll see locals in wetsuits year-round, because the water temperature ranges only from about 59 F to 68 F—a bit chilly if you’re going to do more than hop in and splash around. While other areas—like Mafra, for instance, about thirty-five minutes from Lisbon city center—can get quite gusty, Lisbon is moderate in this department. For about ten months in the year, wind speeds average between five and six-and-a-half miles per hour, with the calmest time being late August, September, and October.